This mantel is four inches thick with a six inch apron that has tile inlays. 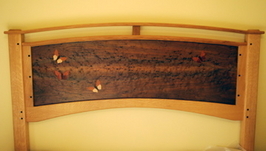 The wood was harvested from a storm damaged tree from Big Sur. 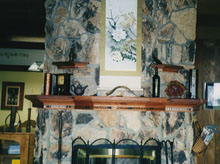 This mantel was made from the interior siding of this original room. 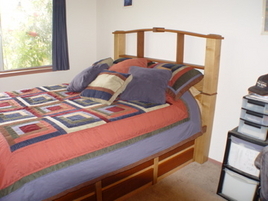 The bed has twelve drawers and an end storage cabinet.